If you ever wondered what Rush might have sounded like with a female vocalist, wonder no more. 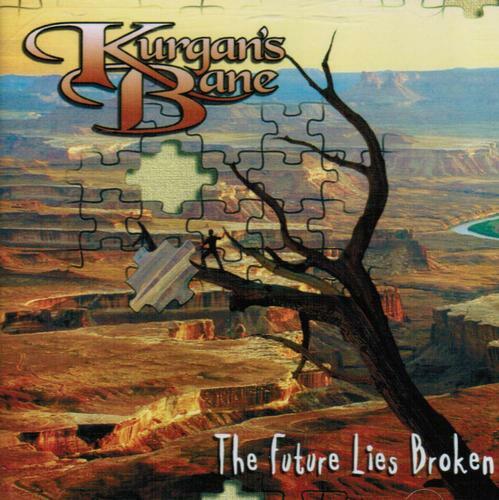 Baltimore-based four-piece Kurgan's Bane is a band that obviously idolizes Rush, especially the Moving Pictures era. Singer Lisa Francis has a powerful voice with a considerable range, and even sounds a little like Geddy Lee at times. Well, maybe I'm just imagining that. Guitarist Pete Laramee doesn't particularly sound like Alex Lifeson – he sounds like a good rock guitarist who loves Rush-style riffs, but solos in a flashy voice more his own. Bassist Luis Nasser fills in a solid low end and provides occasional step-out fills and some keyboards. Drummer Jeff Laramee, while I can't fault him technically, doesn't seem to provide the drive some of the tunes cry for, but that may be due to the rather dry production his kit is given rather than his actual playing. The compositions are pretty strong, ranging from short acoustic instrumentals (“Nap in E Minor”), to multi-part suites (“Vermin”). The lyrics range from corny philosophical musings to sharp political sarcasm, but are good enough not to detract from the music. One thing I notice is that in recording this album, the Bane have used relatively few overdubs, which no doubt allows them to duplicate the music live, but leaves some of the pieces sounding a little sparse. Some discrete keyboards or backing guitar would really fill out the sound. All in all, this is a good effort, and recommended to fans of Rush as well as lovers of strong female singers, though the band will be well served in the future to grow a little beyond their influences and develop a more singular style.